Ahhh hello. Yes, the ‘humble’ tuk-tuk. I’ve spent a fair bit of time in them in my travels. A lot of fun, or a lot of hassle? Or perhaps a bit of both. I’ve gone with ‘tuk-tuk’, although in India I used to know then as an ‘auto’ or indeed ‘auto-rickshaw’. I’ve also heard the term ‘Trishaw’ as well. In South-East Asia, tuk-tuk was the preferred term, and it seems these days it’s caught on in India, even if I felt like screaming ‘it’s an AUTO-RICKSHAW, not a TUK-TUK’ every time I heard it used to describe the fateful 3-stroke machine that zooms around on three wheels throughout the sub-continent. The internet seems to have a few different versions of history, but it seems this motorised three-wheeler has its origins in Japan. In the 1930s they began exporting it to Thailand and I guess it’s rise began from there. Even the Indian history of the auto-rickshaw seems a little unclear. But somewhere between or including 1957 to 1959 the machines began manufacture in India. Now there are millions! And they reach beyond Asia, they can be found in many African countries on the east side of the continent including Tanzania and the island of Madagascar. Also in Central America, and there are even some in Europe – Paris for example! For me, it was Thailand 1999 that I first experienced the tuk-tuk. And I got ripped off and abandoned, but you learn those lessons as you travel! So, the tuk-tuk might not be seen in some places, but it’s exposure worldwide is MASSIVE. So. How is the tuk-tuk, autorickhaw or however you might like to call it as a travel machine? And are they the scourge of Asia, or a blessing? View from auto-rickshaw in Jaipur. Let’s be honest, they are kind of fun to ride in. So much so that people now race annually in the ‘Rickshaw Run’ across India. That would, naturally, be travellers. And it is for charity and frankly, I would kind of like to do it but I doubt I will get the chance. 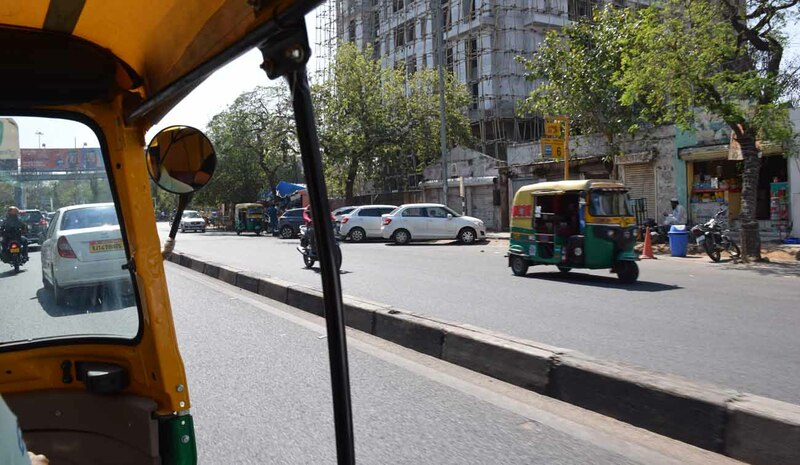 Of course, it’s not in real ‘rickshaws’ or even cycle rickshaws, it’s the auto, which is undoubtedly the most fun of the three. But you will still see both of the man-powered versions in India. You’re friendly Jaipurian auto driver! For the auto-rickshaw drivers, life isn’t so easy, and I think as visitors we need to remember this. Odds are they are renting the thing from an owner, and in terms of what they earn from rides, I understand that the rent takes a huge percentage of that (although the rental charge is usually a set figure). Add the cost of fuel, so much more than when I was last in India 14 years ago, and it’s not easy to support your family by driving an auto-rickshaw. So it’s no surprise that they are after customers. And there seem to be two types of drivers you can find. 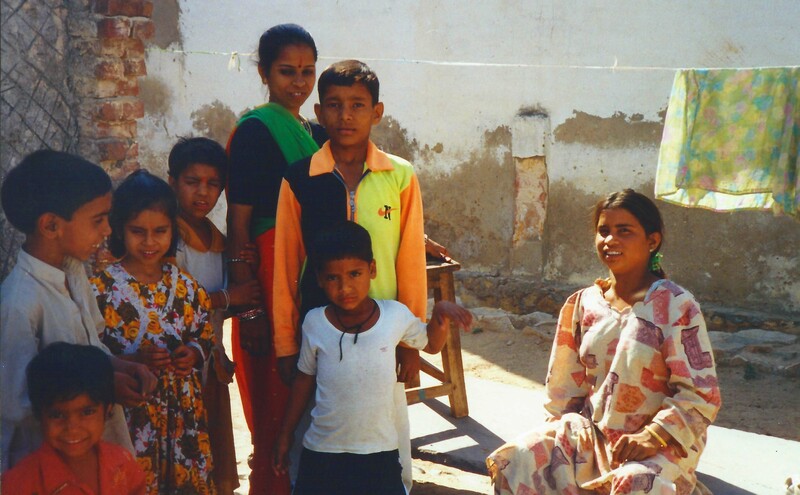 I saw them in Rajasthan and I saw them in Sri Lanka. Oh and Delhi. There is the type that go for foreigners, and the type that take whatever they can get. 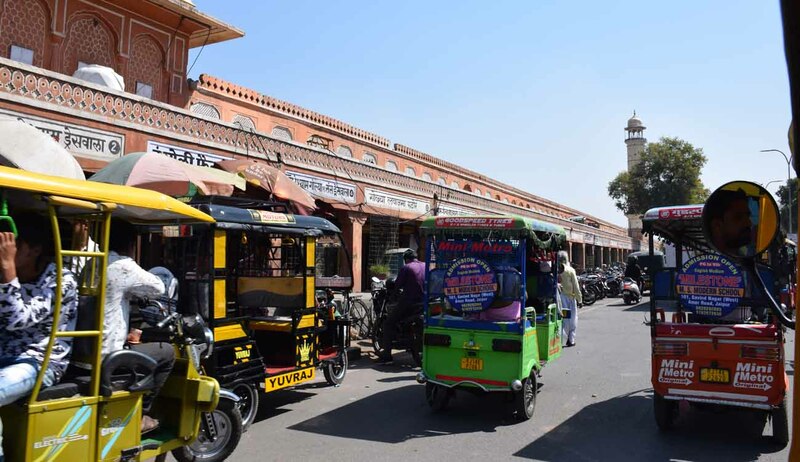 Right near the hotel in Jaipur, only 50 – 70 metres away was a corner with drivers hanging out all day in their rickshaws. 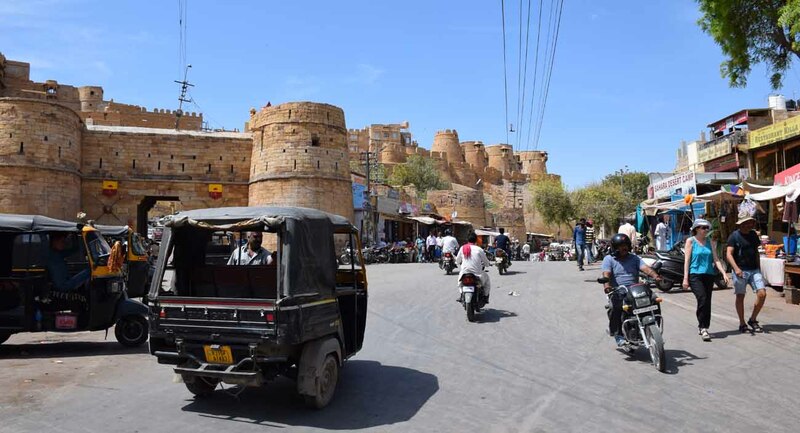 They know there are a number of hotels in the area, and their business model is simply to wait for the tourists rather than compete around Jaipur for every fare. And it makes sense I guess, because foreigners will pay more than the locals, because it’s harder to negotiate, it’s hard to know what is a fair price and foreigners have more disposable cash. On top of that, the ultimate aim is to take people on city/local tours for a few hours or a day. This way you make the day’s takings in a single fare. Now, the way to do this is apparently to approach every foreigner who walks past. This has morphed now and my constant experience through India and Sri Lanka when alighting from a train was to be approached, sometimes on the platform (this happened at the busy Jodphur station for example) and asked if I needed a ‘tuk-tuk’. The wallahs cut through a swathe of people and go for the foreigners. Like I am talking hundreds of people. Didn’t ask ONE of them. 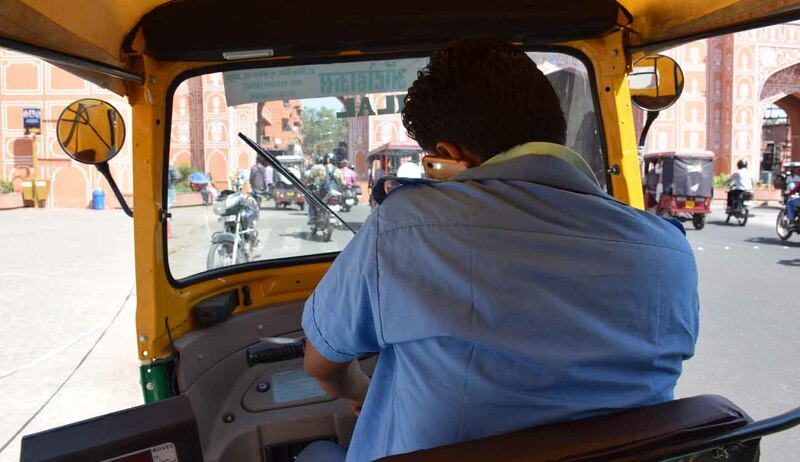 The skills of operating a tuk-tuk and a mobile at the same time! Colombo was the worst, possibly ever. I was with my wife and Sri Lankan friends, looking at the tourist area of Colombo Fort. Which is a red flag straight away. We visited the giant stupa there, and wanted to get to see a church. What we didn’t realise was that we needed to walk around this security area, we were close to the Presidential Palace and roads were blocked off. 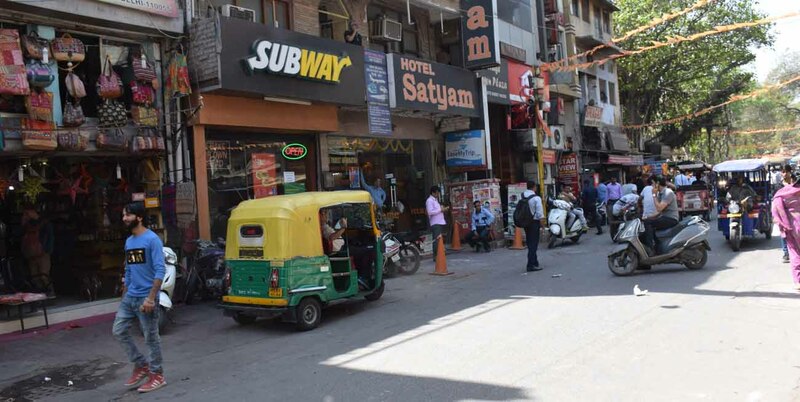 There were around 50 auto-rickshaws there waiting for customers. All in the shade. Despite being the tourist area, however, we seemed to be the only visitors at the time. I realised we needed to take a big detour, and decided that to take an auto was the best option. But the price offered was far and away not fair. 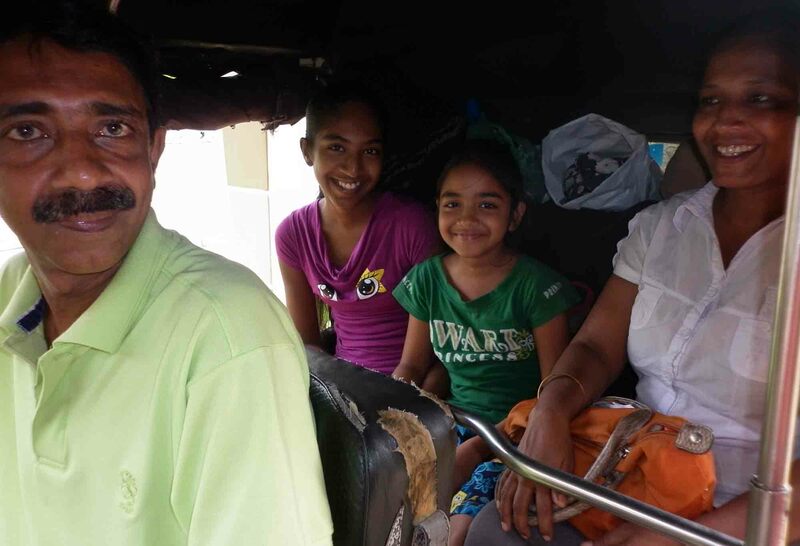 We’d taken a rickshaw for 20-25 minutes through town for less than 200 Sri Lankan Rupees, they wanted 300 – 500 for a five-minute ride. So, we decided to walk and took off along the road to approach the fort area from the other side. Autos sidled along for the next fifteen minutes offering rides, and tours as well. One would leave and another, or another two, would give it a go. It was fifteen minutes from hell. It felt like we were being stalked. These guys could be out in the city picking up fares, but they wanted the fares of the only foreigners around even though the foreigners clearly had chosen not to take them. Go backwards a week and I was in the Paraganj in Delhi, the area where loads and loads of tourists/backpackers stay. There are tuk-tuks down the side of the street. 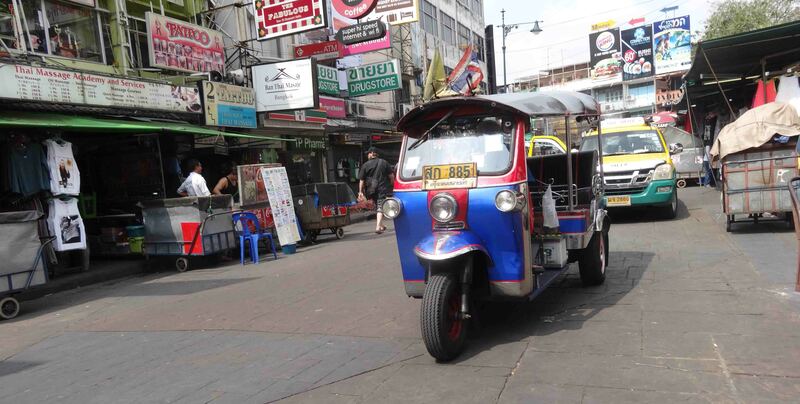 Walk 100 metres, you’ll pass 5 – 10 tuk-tuks. And their drivers all ask if you want a tuk-tuk. I just walked past 3 tuk-tuks and said ‘no’, but maybe in the last 8 seconds I’ve decided ‘you know what, I really do need a tuk-tuk’. Simple fact is, if I want one, I know how to hail one. Do I wake in the middle of the night with cold sweats? Only sometimes, I’m slowly recovering. At the end of the day, especially as a backpacker, you’re going to find you need to take a tuk-tuk if you’re in South-East Asia or the sub-continent. Taxis will set you back more, and depending on the city there aren’t always good public transport options (thankfully, in Delhi these days there is). And everyone is entitled to seek out a living to support themselves and their families. 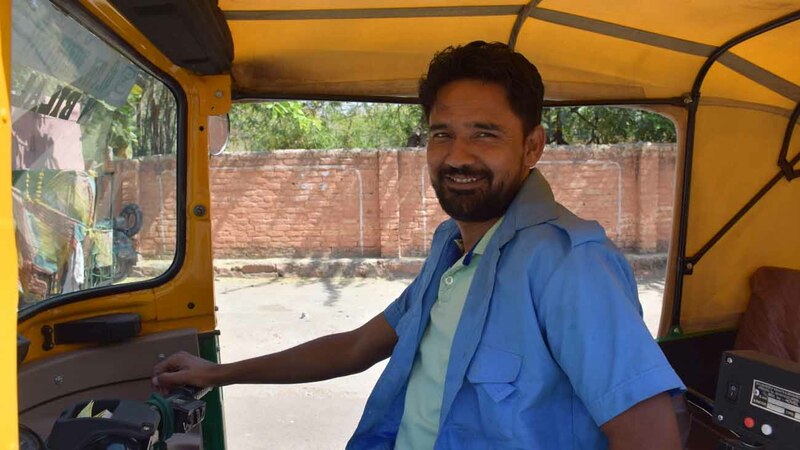 I had a great auto-rickshaw driver in 1999 in Jaipur who showed me the sights! I even met his family! It’s not an easy business to be in, there is an incredible amount of competition, and the visitor has the ability to pay more than the local. So my advice to remember all of that, don’t reward aggression but DO reward good, honest service. Because odds are, with so many tuk-tuk options out there, you CAN and WILL find it if you can exercise a little patience. Find a way to block out the hassle and constant badgering, whether it being going into an impenetrable force field, or learning to laugh and smile when the heat and pushing gets too much, or whatever works for you. And if you find something that works, please share! I do my best but I admit, there were times even in my most recent trips I was very close to completely ‘losing it’. 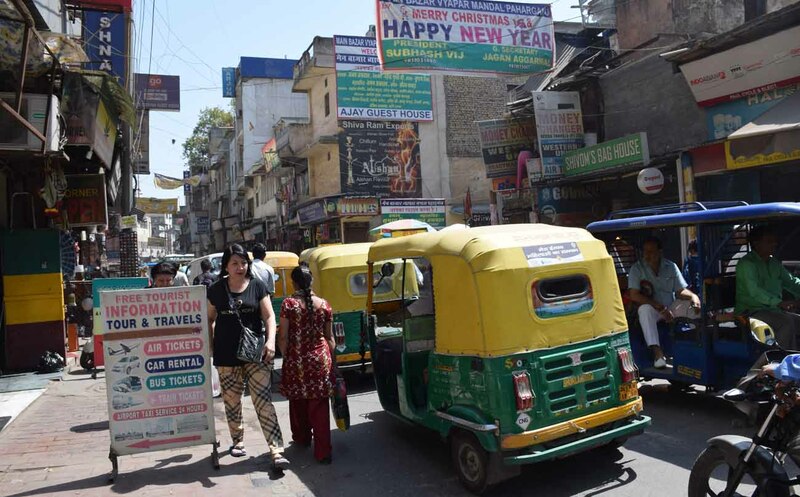 One things for sure, auto-rickshaws, tuk-tuks, trishaws or whatever you’d like to call them have been around for a good many years, and they will be part of the travel experience in so many Asian countries for many years into the future. These ones in Jaipur were FANCY! Please share your tuk-tuk experiences, positive and negative, in the comments. And of course, May the Three-Wheel Journey Never End! Funny read 🤣 My experiences: fear of abandonment/tipping over and mosquitos hitting my face. Boy can those things go fast! The ones in Colombo – some of them – have speedometres! they hit like 35km/h thanks for commenting! Lol. Check out Qingqi rickshaws in Pakistan – they’re downright terrifying! Origins in Japan: now that IS a surprise. And yet you see so few of them here. There is a tuk-tuk Santa in Chiba at Christmas! Well I think Japan moved on with the times! Honestly, they ARE a lot of fun!